It is perhaps fitting that what brought these otherwise rather distinct careers together intellectually was Jung’s concept of “synchronicity”. Indeed, Pauli would later speak of the pair’s collaborative project, Naturerklärung und Psyche (1952), containing one substantial essay by both, as being in itself a synchronicity. Jung had started using this concept in the 1930s, albeit in an unsystematic fashion, to refer to the occurence of “meaningful coincidences”, sometimes descried as a sudden grouping of like occurrences within a short temporal period, or relations between an inner state of mind and outer events that seem to reflect it. As examples he mentioned a series of events that happened to him one April 1: first a conversation about how that date had been traditionally connected with fish; then encountering a plate with inscriptions where the fish symbol was used; then then fish for dinner; then while at a lake in the evening finding a dead fish, apparently fresh, on land. And so on. Other examples involved therapy settings. As when one patient was recounting a dream about scarabs, and as she described it something tapped on the window. When Jung opened it a very rare beetle flew in, according to himself the closest thing one could get to a scarab in Austria. Everybody have experiences like these from time to time. What to make of them? Jung’s point was that as amazing and meaningful as they were, they could clearly not be connected by any type of causal relation, some mysterious “force”, law or mental capacity which direct things to the right place at the right time. Something like that had actually been suggested by a precursor to Jung in the coincidence business, the Austrian zoologist Paul Kammerer (1880-1926). After almost compulsively writing down all such coincidences that happened to him, Kammerer invented his “law of seriality”, and even posited the existence of a gravity-like force, attracting “likes” in some mysterious fashion (more on Kammerer’s theory can be found in Arthur Koestler’s Roots of Coincidence, who also wrote a more scientific biography of the man, The Case of the Midwife Toad) . This was not Jung’s project at all. Instead, synchronicity was formulated as a truly “acausal connecting principle”. And acausality is, ironically, precisely the connection point with Pauli and the new physics. Pauli and Jung first met in therapy. 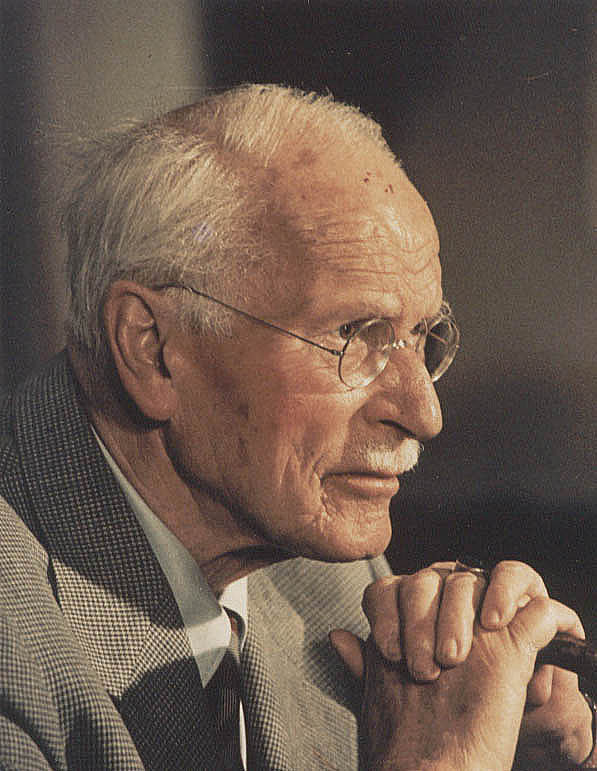 At the end of 1930, immediately following a painful divorce (but also the year in which he had postulated the neutrino, discovered a few decades later), Pauli had a mental breakdown and sought psychoanalysis with Jung’s circle. Therapy led to a long friendship and exchange of ideas. 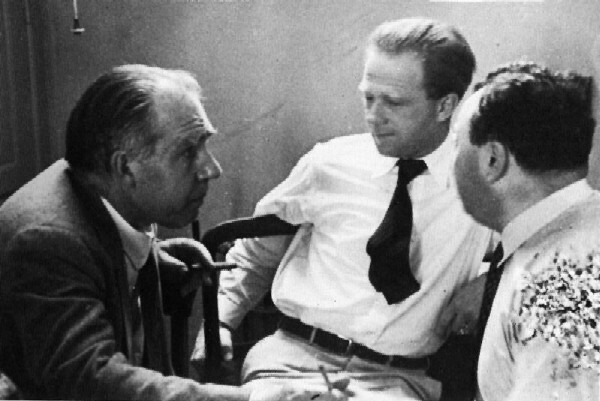 The Copenhagen spirit: Niels Bohr, Werner Heisenberg, and Wolfgang Pauli (left to right). In the Copenhagen group of theoretical physicists, Pauli had always been known as a great critic, always attacking other people’s ideas, eventually bringing out their potential and rejecting weak points and obscurities. He took the same attitude to Jung, debating epistemology with him, and especially making an attempt to set the psychologist straight when it came to his understanding of physics. For the new physics of quantum mechanics, it seemed, could offer crucial insight to the concept of synchronicity, and was interesting for Jung for that reason. One of the radical implications which were being formulated especially towards the end of the 1920s was exactly that classical causality did not hold on the micro-level explored by quantum mechanics. Werner Heisenberg’s famous 1927 paper on the uncertainty principle wrote this out plain: causality has been eradicated from nature. On the closest analysis, nature is indeterministic and acausal. Lawlike behaviour, corresponding with classical mechanics, only emerges in statistics of large numbers of single cases. Whether or not the eagerness to dispel causality stood in any proportionate relation with observation and basic theories has been contested. The historian of science Paul Forman, for instance, claimed that the embrace of acausality was not demanded by the physics itself; rather it may have been an expression of the physicists’ attempt to accommodate certain cultural biases belonging to a neo-romantic cultural pessimism and anti-intellectualism of inter-war Weimar Germany. Jung and Pauli's diagram representing synchronicity as a fundamental "principle" in nature. From Jung's "Synchronicity: an acausal connecting principle". Be that as it may, it greatly appealed to Jung who saw a parallel to what was going on with synchronicity. Even though Pauli remained critical of Jung’s real understanding of quantum mechanics, he would at least grant this much: in the same way as the acausality of individual events in the micro-world disappear in statistics and ordinary, classical mechanics takes over, the unique and special “meaning” of synchronistic events similarly could not be captured by statistical methods. The most important case for this, made by both Jung and Pauli, concerned parapsychology. Jung spent large parts of his 1952 essay on synchronicity explaining how the experiments of J. B. Rhine at Duke on effects of “extra-sensory perception” could be seen as work on synchronicity. The fact that mechanistic accounts of telepathy and clairvoyance had not proved fruitful opened the possibility that there could be something “acausal” and synchronistic going on instead – as if the minds of the “reader” and the “sender” in a telepathy experiment did not really communicate, but correspond. Jung made similar cases for various mantic techniques, especially the I Ching, and for astrology (which Pauli particularly hated). But what was more: if these phenomena were really synchronistic, one gets a case against trying to capture the “effects” by scientific research using statistical tools. The synchronistic effect is essentially particular and unique, completely analogous to the acausality postulated for single sub-atomic particles. When one goes about adding greater quantities of cases, the effect disappears. This could, Jung and Pauli argued, explain the “decline effect” that Rhine had encountered in his parapsychological experiments. There are several reasons why this case was interesting for our course on esotericism and science. I’ll briefly list three. First, it is not unreasonable to interpret Jung as an esoteric thinker. I won’t go into the details, but he may essentially be seen as someone who attempted to revive the basic intuitions of German romantic Naturphilosophie, and with it a way of approaching nature which bears more resemblance to early modern esoteric discourse than a late modern scientific one. In addition of course there is his re-invention of “spiritual alchemy”, his fascination with “the east”, the I Ching, astrology, etc, and not to mention the exceptional revelatory works he wrote, including the newly published Red Book, or Liber Novus. Secondly and in connection with the above, the concept of synchronicity may be seen as part of Jung’s esoteric trajectory. With it, and through Pauli’s input of physics, a supra-rational, analogical, non-causal way of looking at the world is admitted back into the conception of nature. With synchronicities there is a potential program for interpreting nature in ways that resemble the old doctrine of correspondences and even the readability of nature. Furthermore, embedded in the Jungian psychoanalytic process they also become key events in what could be seen as a salvific programme – a quest for the purification and transmutation of the soul (or the “integration of personality” in psychological jargon). Third, Jung’s and Pauli’s conversation on these topics and the outcome in Jung’s concept of synchronicity especially is an early example (1930s-1950s) of something which a few decades later became rather common: to claim quantum mechanics as a legitimating factor for esoteric programmes. This has become a stayer in so-called “New Age science”, especially since the best-selling books by Fritjof Capra (Tao of Physics and The Turning Point). A related point might be the connection with parapsychology. In all the eagerness to produce “scientific explanations” of various types of claimed anomalous cognitive events, quantum mechanics is the standard reference. Capra and the legitimizing, rhetorical use of science in New Age discourse will be the topic of this week’s class. The correspondence between Jung and Pauli is quite well documented. The letters from 1932 to 1958 have been translated to English and published, and a few books have been written on their relationship. We read extracts from Suzanne Gieser’s The Innermost Kernel: Depth Psychology and Quantum Physics. Wolfgang Pauli’s Dialogue with C. G. Jung. Heidelberg: Springer Verlag, 2005. Fascinating stuff. I had not realized that Pauli had been in analysis with Jung. Space-time is only a math model. Time we measure with clocks is a numerical sequence of change.